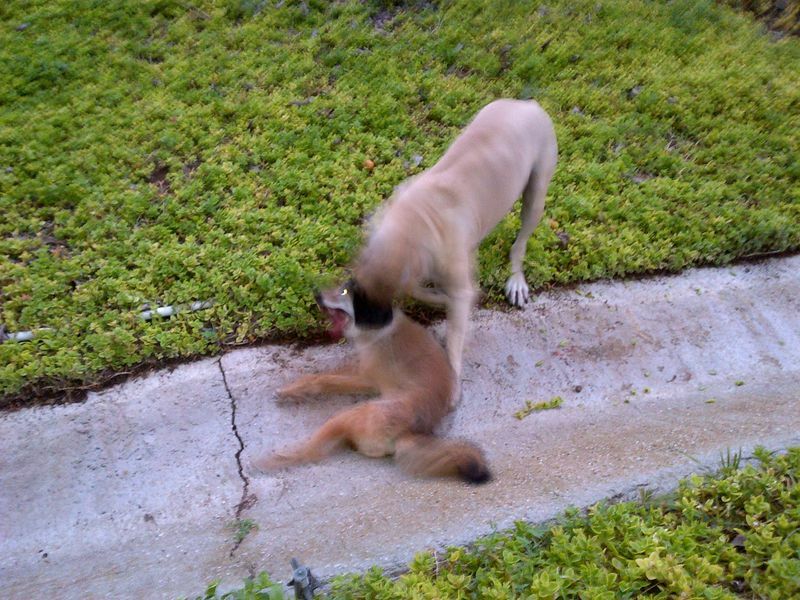 Six years ago we had a mountain lion in the community that ate a German Shepard, a lab, and a llama. 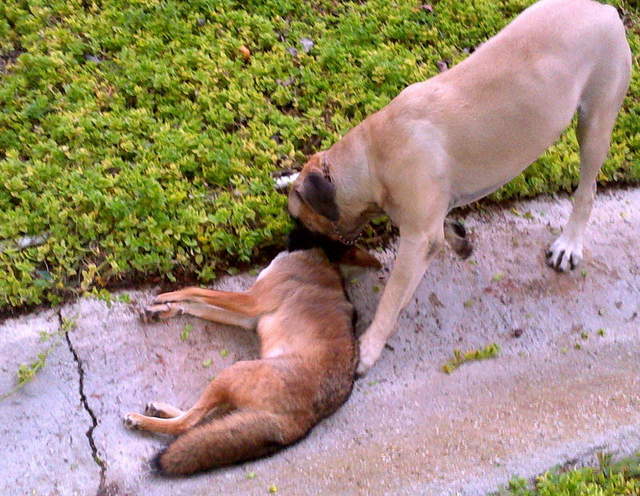 The coyotes have always been a problem with smaller dogs here, but a mountain lion was a whole different level. To protect Turbo, our 30 lbs mutt, I did some research and came up the South African Boerboel. I had him shipped from Zimbabwe to CA. Tank's been a great dog, and at 158 lbs, no sign of the lion. A couple weeks ago Tank was at the back door growling. I let him out and he bolted. Two seconds later I see the commotion and Tank has a 35 lbs male coyote by the neck. He was shaking it like a rag doll. By the time I got him to let go, the poor coyote was dead as a doornail. My neighbors with small dogs have given Tank celebrity status, and bids are out for patrol service. I'm still mixed about it.